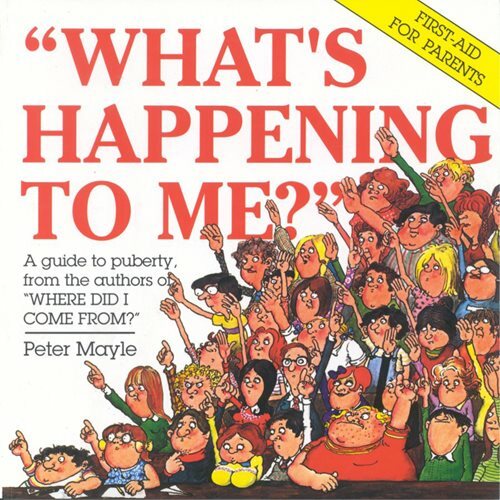 A humorous approach to puberty and changes to expect for both boys and girls, by the author of Where Did I Come From? Why is my chest getting bumpy? Why is my voice acting so funny? Why am I getting hairy? Why is mine not like his? Enough strange and wonderful things happen to all of us during puberty to fill a book. So here is is – the book that answers some of the big questions, and explains some of the big changes. One look at the illustrations will tell you that this is not a dull medical textbook. But it does present the facts of life during puberty, and it presents them with honesty, sympathy and a sense of humour.